The indoor Bonsai Tree is a beautiful addition to any home or office, and once you learn how to care for these unique trees, they are a great hobby. Indoor Bonsai Trees are actually a miniature replica of a natural outdoor tree. The cultivation of the indoor Bonsai Tree first began in China and Japan centuries ago, but today growing the Bonsai Tree has become a popular hobby in many parts of the world. One of the best aspects of the indoor Bonsai Tree is that it only becomes more beautiful with time with the right care. The indoor Bonsai Tree must receive enough sunlight without being exposed to temperatures that are too high or too low. If you live in a fairly mild climate you may want to place your tree on a patio or porch when temperatures permit. If you live in a climate that reaches extreme temperatures, you may have to place your indoor Bonsai Tree in a room that receives plenty of light, but not right next to the window. Watering your indoor Bonsai Tree is another important element to properly caring for it. Your tree should be watered when the soil begins to appear dry, and it is very important that you never let the soil get too dry. Using the proper soil for the type of indoor Bonsai Tree that you have is also an essential element to caring for your tree. Always ensure that you have the right soil when planting or replanting your tree. The correct use of liquid fertilizer may also determine how healthy your indoor Bonsai Tree will be. To guarantee that you are using the right fertilizer and applying it correctly, seek advice for the type of tree that you have. For the indoor Bonsai Tree to grow properly, it is extremely important that you trim it at the appropriate times. Tropical and sub tropical indoor bonsai trees have to be trimmed throughout the year. Not only do the branches need to be trimmed but also the roots. Nevertheless, as different plants grow at diverse rates, you will have to assess your tree’s growth and change the trimming accordingly. With proper care, your indoor Bonsai Tree can grow to be beautiful and healthy. 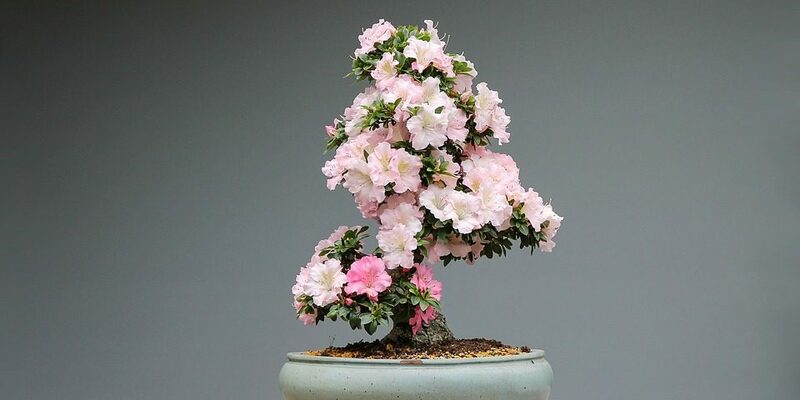 Once you get the hang of caring for your Bonsai Tree, you may even want to add several more to your collection.